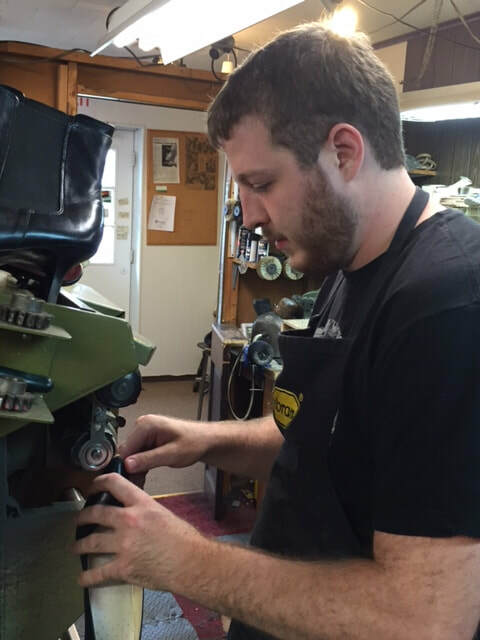 Master Cobbler Joseph Montedoro has been repairing shoes since he was 8 years old. A second generation cobbler, Joe took over the family business and set up the White Cat Shoe Repair shop in Allenhurst, NJ. In the early 80's, Joe took a hiatus from shoe repair and turned over the reigns to his apprentice, Viro Marra, who moved the shop to Shrewsbury and renamed it Shrewsbury Cobbler Shop. Joe returned to his roots and partnered with Vito once again at the current Shrewsbury location. Vito eventually retired from the shop and it was once again Joe's baby. 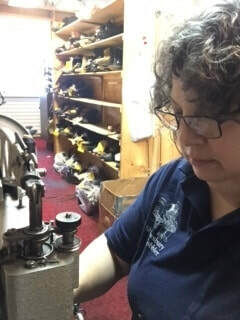 The "shoe repair gene" runs strong in the Montedoro family! Joe's wife Ginny and children Renata, Carla, Chris, and Michelle have all, at one point in their lives, worked in the family business. While Ginny is no longer with us, the kid's still pop in and lend a hand when needed! Recently, Joe partnered with his daughter Carla to run the business, allowing him to semi-retire. 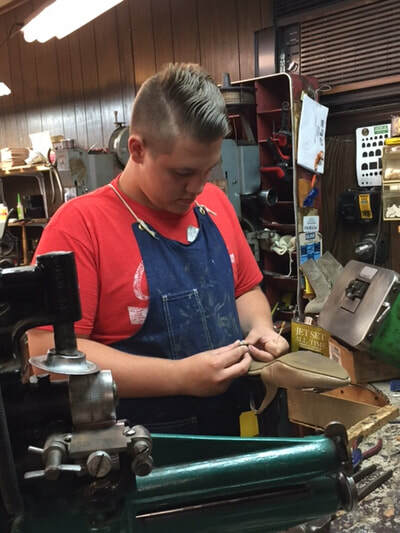 Keeping that family tradition alive, Joe's grandson (and Carla's son) Justin is taking the reigns and is now our full time cobbler. You can also catch Matthew, another of Joe's grandsons, on Saturday's beginning his apprenticeship in the trade. You can't keep a good man down...you will still see Joe here two days a week and on Saturday! Come on in and visit, we'd love to see you!